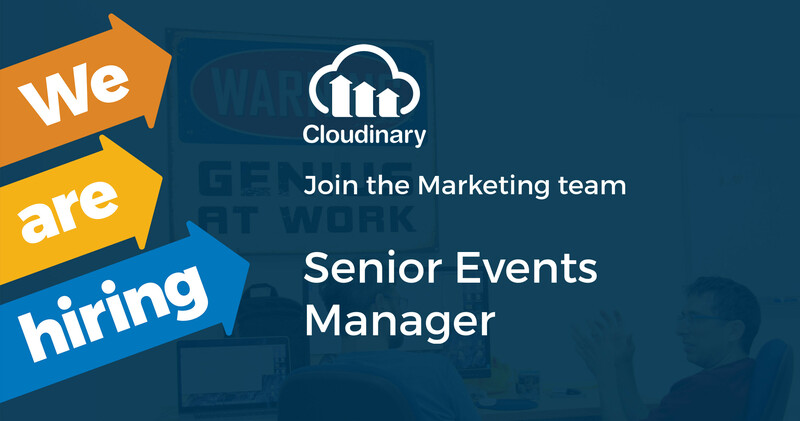 Cloudinary is looking for a seasoned Events Manager to lead the global event activity for all of Cloudinary. This position will report to the VP of Marketing and work closely with all global teams that participate in these events. This position is responsible for developing and implementing a global events strategy to support corporate lead generation and branding goals. Local candidates only. Must be able to travel 20% of the time (varies throughout the year). Highly organized, detail-oriented with proven ability to deliver exceptional events within the budget.